I'm having an issue with my display on my XPS 13 and am hoping it can be solved without spending hundreds of dollars.. Naturally, my warranty just ended. The problem I'm having is that my display simply doesn't work for my laptop. I can plug the laptop into an external display and it works, but the main display just shows up as black. There was nothing to indicate that this might happen, and in fact it was working completely perfectly just 15 minutes before it went out. I have never had issues with the screen flickering or anything of the sort. Interestingly, although the entire display is black, the touch screen still works perfectly (I tested this by having the computer attached to an external display with the displays duplicated). The only thing that is even remotely wrong with my display is that it is very slightly loose on the left side where the display attaches to the rest of the keyboard (i.e. when I open the computer it creaks a little). With that said, I've already tried updating the drivers for the display (they were out of date, but unfortunately updating them didn't solve the problem). If anyone has ANY ideas as to what might be causing this, please let me know. Any help is greatly appreciated. I suspect the LCD backlight might have failed. 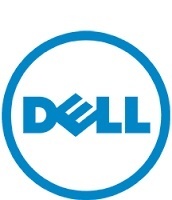 Download the service manual - http://dell.to/1n3X2po - enter the service tag and download the service manual and reseat the LCD cable and check. You would need to replace the LCD cable and if that does not work, then replace the LCD assembly. Depending the exact system model, I could advise you the parts if required.